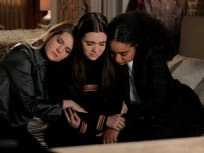 On The Bold Type Season 3 Episode 2, Jane begins her fertility treatments while Kat learns that a prominent lesbian bar is being closed down. 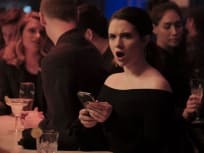 On The Bold Type Season 3 Episode 1, Sutton and Richard enjoy their romance in the limelight while Kat struggles to keep up happy appearances on social media while secretly suffering heartache. On The Bold Type Season 2 Episode 10, Sutton begins to wonder if she has sacrificed too much while Jane is frustrated to learn that Safford's health insurance. 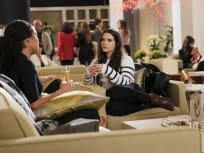 On The Bold Type Season 2 Episode 9, on the heels of the dotcom relaunch, the ladies end up taking a road trip, while Jane is overwhelmed by fertility planning. On The Bold Type Season 2 Episode 7, the girls realize they have polar opposite views when Jane discovers that Sutton has been hiding a gun. 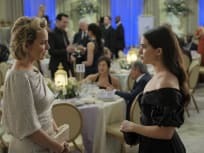 On The Bold Type Season 2 Episode 6, Sutton gives Richard's new girlfriend a makeover, while Jane takes an assignment that has her cross paths with Jacqueline. 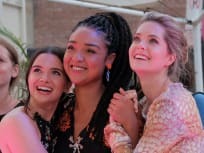 On The Bold Type Season 2 Episode 4, Sutton fights for an in with a well-connected influencer, while Adena reluctantly brings Kat out to meet her friends. On The Bold Type Season 2 Episode 3, Sutton is put in an awkward position when Kat asks her to hire Adena; Jane follows around an altruistic doctor for her latest article; new board member causes Jacqueline to defend her role at the magazine.